16GB (1x16GB) 2400MHz* non-ECC DDR4 SDRAM, upgradeable to 64GB. There are four dual-channel capable DIMM slots. One slot is occupied by a removable 16GB module; the other slots are free. *Memory will operate at 2133MHz due to processor limitations. and M.2 NVMe SSD is 2. 3. M.2 connectors are not supported by default and require an adapter (Part# 4XH0L08578). 29-in-1 reader/front IEEE 1394/front eSATA. 2. Up to one flex module/FASE per system. (1) SATA connector for optional eSATA. Supports RAID 0/1/5/10. 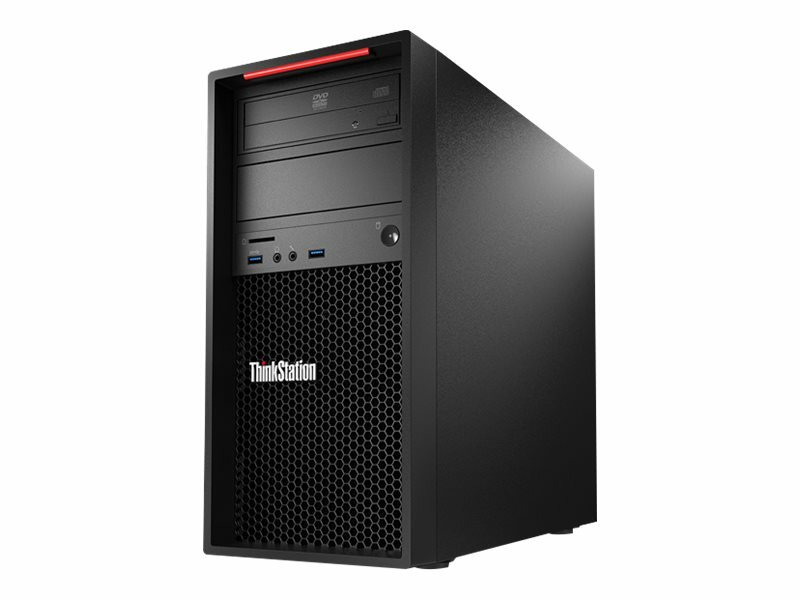 Limited warranty with onsite service and 9x5 next business day support.